A.G.Coropoulis SA was established in 1893. 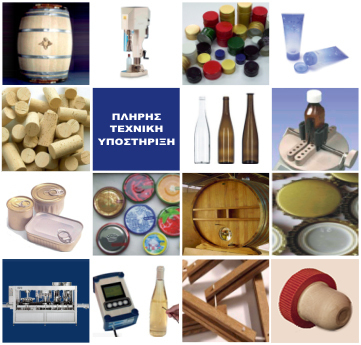 Our company is producing and importing Closures, Packaging Material and Machinery/Equipment for Wineries, Distilleries, Pharmaceutical / Cosmetic companies and Beverage, Water, Edible Oil and Food industries. A.G.Coropoulis company is synonymous with quality products, continuous support and technical service for the customers.